Chrome plated brass with ceramic discs. Working pressure 0.5-6.0 bar. Includes 2 x tap tails (350mm long). Height as fitted 185mm. Wave Mono Basin Mixer Tap is rated 4.0 out of 5 by 2. 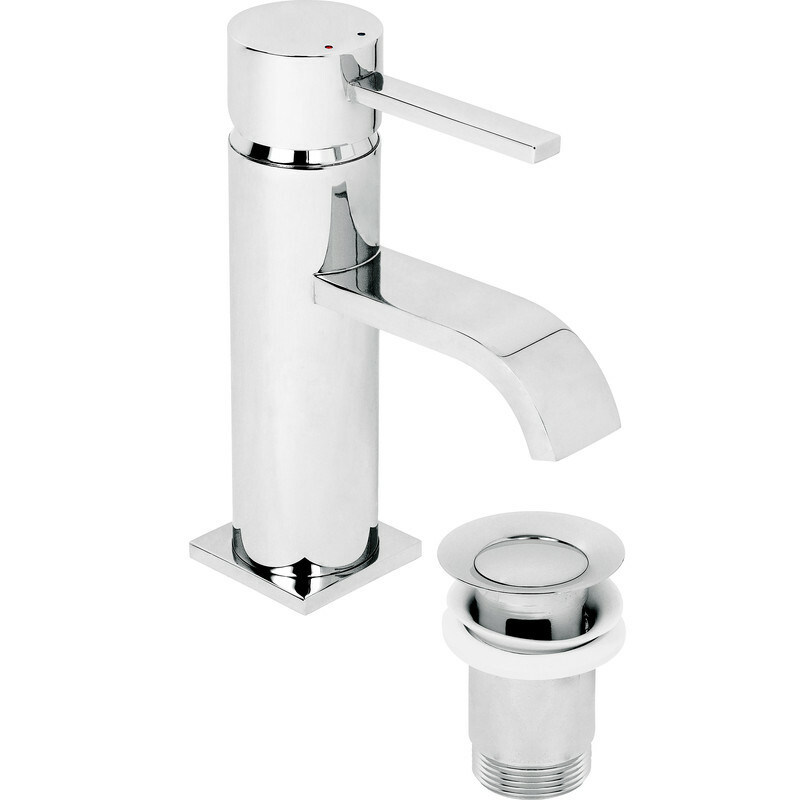 Rated 4 out of 5 by BobL from Good quality fitting This is a good quality tap with a quality chrome finish. My only (little) criticism is that it comes with a short fixing nut which makes fitting a little awkward. I re-used the long nut off the old tap which made life much easier!